Anywho, I'm a bit different than your average Neopian - I don't train my pets, I don't use the battledome, I have absolutely no collections, I don't restock, and I'm horrible at creating characters.. So, what do I do? I love customising my pets, I enjoy chatting with a few of my friends, but most importantly, I love to help people achieve their dreams. Since my remaining goals are quite unattainable, I want to make sure that people who have attainable dreams can achieve them. I regularly zap pets until they're a decent colour/species combination, then I scour the wish lists until I find the perfect owner. Even though they're just little 'ol pixels, I still want to treat them like pets, and make sure they go to loving, forever homes. Sappy, I know, but I personify these little pets so much, ha. In the real world, I'm a cat mom to a ridiculously adorable, long-haired tuxedo kitty named Joel, and I'm also married to a not as ridiculously adorable man named Tyler (I mean, he's handsome, but not as good looking as our kitty). I adore reading, music, and cooking, as well as doing yoga, going to concerts, and travelling! So, now that you know who I am, I'll tell you about my dream! Back when I first started on Neopets, I absolutely fell in love with the big-eyed creatures. They looked so cute, innocent, and a bit accident prone, and I wanted one immensely. I was constantly scouring the pound (I mean, the best I could as I had the poorest dial-up internet out there), but to no avail. At the time, it was super rare and special to have a limited edition pet, even if it was the most hideously named thing out there. I quickly became bored with my dreams, and took quite a long hiatus. When I came back, I remembered my Kiko dreams, and immediately went to the pound to try my luck (at this point, I had some super speed internet, so figured I might be better off). To my surprise, after only two clicks, I had a very well named Kiko for myself, and I was so stoked. Soon after I had finished my happy dance, I kinda felt like my brain wasn't up to speed - something seemed off about the Kiko.. I couldn't quite put my finger on it, but they seemed... uglier? So, I went to search about the Kiko, and then came upon someone talking about the conversion. After a quick read (and probably tear filled, as I was quite the emo kid), I realised that my dreams were even further away than they originally were. Then, queue another hiatus, because I was a bit of a drama queen. Well, I'm back, and have been for a bit, and I'm again dreaming of owning one of those beautifully awkward Kikos, hence my project page! Well, I'm sorry to disappoint here, especially if you are a person who is very in to characters, but my plans are quite different than your average Neopian. I simply would have as my pet to admire in nostalgia. I don't have a character planned, I don't have a drastic customisation ready, I just would have them there to admire with a smile every time I see them. 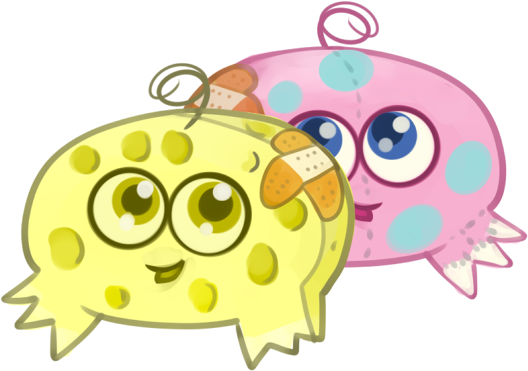 They would look as nostalgic as I could make them, placing the Neopets Circle Background behind them, to make them look exactly as I remembered them. All I want is to relive my childhood, and achieve my childhood dream of seeing my profile, and having a beautiful UC Kiko as my pet. How do I plan to achieve this? Well, I'm hoping that you've stumbled upon this page because you may be able to help. I am absolutely hopeless at pound chat, and not nearly competitive enough to try to train and climb up the ladder from scratch. I've tried, and it hasn't worked out, and I get so down in the dumps because of not succeeding. I'm hoping that some kind Neopian will come across my page, and see that I'm sincere, and help me work to achieve my goals. Whilst a UC Kiko is my ultimate goal, I'm beyond open to any UC, as it would help me become one step closer to my childhood goal! If you've come across this willing to help, thank you so much, really. I'm open to any and all offers, even if it's just an offer to help me make my project page shine a bit more. My dream has always seemed so far out of reach, so I'm hoping by making this page, I'll finally achieve it! TNT: I made this page out of my own free will!